The FDA has approved Alexion’s Soliris for use in patients with treatment resistant generalised Myasthenia gravis (gMG), making it the first new therapy for the condition in 60 years. The approval is good news for Alexion, which is looking to keep its blockbuster rare disease drug growing as new rivals emerge. Soliris (eculizumab) earned $814 million in Q2, up 16% compared to the same period last year, based on its use in paroxysmal nocturnal hemoglobinuria (PNH) and atypical hemolytic uremic syndrome (aHUS), two life-threatening ultra-rare disorders. Approval in Myasthenia gravis in key markets could eventually add more than $500 million to its annual revenues. Earlier this year there had been some doubts that the approval would come as the drug missed its primary endpoint in the phase 3 REGAIN study. 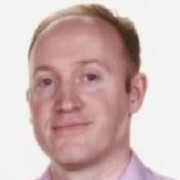 However the US regulator nevertheless saw fit to approve Soliris on the basis of this and an ongoing open-label study which found benefits for patients with anti-AchR antibody-positive gMG who had previously failed immunosuppressive treatment and continued to suffer from significant unresolved disease symptoms. These can include difficulties seeing, walking, talking, swallowing and breathing. These patients are at an increased risk of disease exacerbations and crises that may require hospitalisation and intensive care and may be life-threatening. These patients represent approximately 5-10% of all patients with MG. Alexion hope that US payers will be persuaded that the drug’s $700,000 price tag nevertheless represents values for money if it can prevent hospitalisation and life-threatening illness. Soliris gained EU approval for the indication in August, and its review is under way in Japan. The company has several potential rivals to Soliris in its established indications, including Akari’s late-stage candidate Coversin, which is now moving into phase 3 for PNH. This year has been a tumultuous one for Alexion, after its chief executive and chief financial officer resigned over accounting irregularities. Its new chief executive Ludwig Hantson came aboard in March, and stripped away many of the company’s more ambitious R&D projects, focusing instead on the company’s core therapy areas. 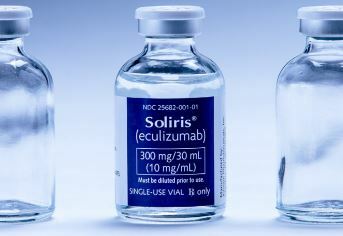 Further Soliris projects remain central to its plans, and include eculizumab for Relapsing Neuromyelitis Optica Spectrum Disorder, with phase 3 data expected next year. It also has a next generation follow-up to Soliris in the pipeline – ALXN1210- is being studied in PNH and aHUS and also in a more convenient subcutaneous formulation.